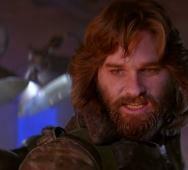 John Carpenter‘s The Thing (1982) is a film I can watch every month. 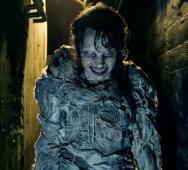 The Thing is about an alien discovered in Antartica that kills an entire crew stationed there. 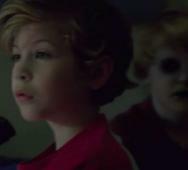 It replicates their bodies and is getting better at reproducing their human behavior. Dead Meat shows us all the death scene clips and the kill count at the end of this video. 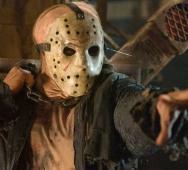 In the Friday the 13th reboot, Friday the 13th (2009), Jason Voorhees returned to terrorize Camp Crystal Lake with stars Jared Padalecki, Danielle Panabaker, and Amanda Righetti. 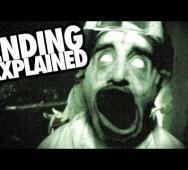 Check out the video below from Dead Meat featuring each death scene and the average kills per minute. Friday the 13th (2009) may have bombed, but the death scenes are still something to watch. Scream 3 (2000) takes the Ghostface murders to Hollywood on the set of Stab 3. 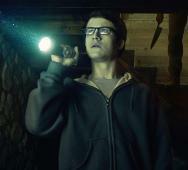 The fictional Stab series is based on the Sydney Prescott Ghostface events. Another Ghostface continues the murder spree leaving another villain for the audience to catch. Dead Meat shows us the death scenes with his commentary and reveals the total kill count at the end of this 16-minute video. Here are all the kill scenes of Jason Voorhees from Jason Lives: Friday the 13th Part VI (1986). 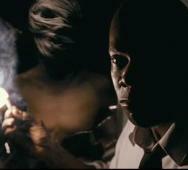 Dead Meat included each kill scene along with his commentary. This video is a little over 11-minutes long for you true Jason Voorhees fans out there. 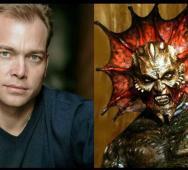 Actor Jonathan Breck and director Victor Salva gave us the creepiest modern horror monster in The Creeper from the Jeepers Creepers series. 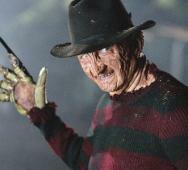 Three movies in so far and we still have so many questions about the creature from the Jeepers Creepers franchise. FoundFlix delivers his breakdown video on The Creeper in under 11-minutes. 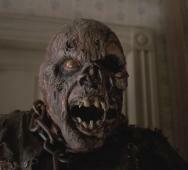 Jason Voorhees tears it up before going to Hell in Jason Goes to Hell: The Final Friday (1993). 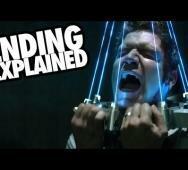 Dead Meat created this excellent video compiling the many Jason Voorhees death scenes. 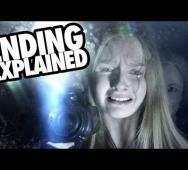 Watch every death scene and then wait until the end of the video for the average deaths per minute verdict. Scream 4 (2011) again focuses on Sydney Prescott after ten years have passed, but another Ghostface Killer emerges. Dead Meat posted this 16-minute video with the kill count and comments on each death scene. 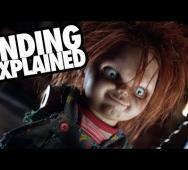 I appreciate a good horror movie with a twist ending and this list has 25 horror movies with a twist ending. Of course, you will find Jacob’s Ladder (1990), Saw (2004), The Skeleton Key (2005), and Stir of Echoes (1999) listed but there are many more than you may remember. 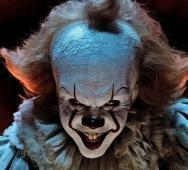 Each movie is listed below with movie details and a trailer. 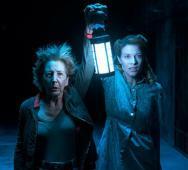 The Insidious Universe has added new demons to the world of Insidious. 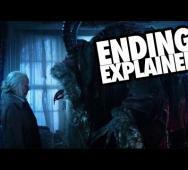 Here is an informative video picking apart/detailing the various story elements and connecting the Insidious movies. FoundFlix does this in a little over 23-minutes with his unique brand of commentary. 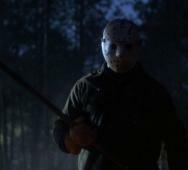 Jason Voorhees just keeps racking up the kills at Crystal Lake Camp. 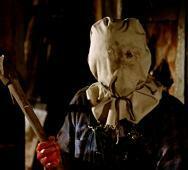 Here is a fun video detailing the numerous kills in Friday the 13th: A New Beginning (1985). Dead Meat brings reveals the kill count along with the kill scenes and Jason Voorhees average kills per minute. 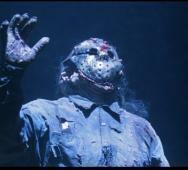 Friday the 13th Part VII: The New Blood (1988) had a few memorable kill scenes by Jason Voorhees. 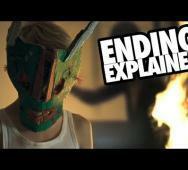 This video by Dead Meat displays each kill scene along with the total kills at the end of the video. Check it out and let us see if you were close. Jason Voorhees takes his kill spree to space in Jason X (2001). 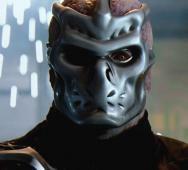 This Jason X (2001) kill count video is under 15-minutes long showing each death scene. Dead Meat also includes the average kill per minute as an additional extra feature. 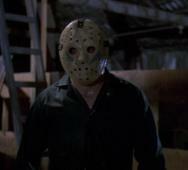 Friday the 13th Part III (1982) continues Jason Voorhees’ reign of terror on Crystal Lake Camp. Dead Meat put together this detailed video of each Jason Voorhees movie kill with the total kills at the end and average kill per minute. 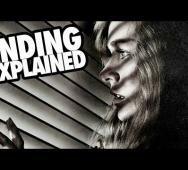 This video is under 10-minutes and gives a little more insight into the horror film. Ever wonder how many kills were in Friday the 13th (1980)? 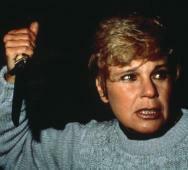 Betsy Palmer as Mrs. Voorhees was a busy mother at Camp Cyrstal Lake. 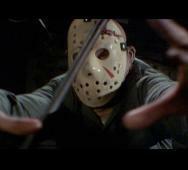 Watch as Dead Meat walks us through each kill scene from Friday the 13th (1980). At the end of this video, we get the Friday the 13th (1980) kill count and the average kill per minute. Here is the kill count video for Friday the 13th Part 2 (1981) with every Jason Voorhees kill scene. Dead Meat posted this fun video on just that with an average kill per minute tally at the end too. Do you think you can guess the correct number? 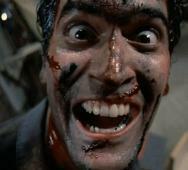 Bruce Campbell and Sam Raimi made gold when they created The Evil Dead (1981), but there were many bumps in the road for them along the way leading up to the Starz Ash vs Evil Dead TV series. Looper put together this video showcasing just some of the obstacles that the filmmakers had to overcome. The Cloverfield Paradox (2018) is a film worth rewatching and will remain on my Netflix watchlist for a little while as I mesh together the various Cloverfield Universe details. 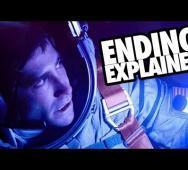 Watch as WhatCulture pieces together the bits from The Cloverfield Paradox (2018). 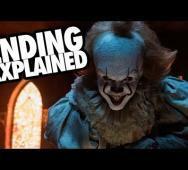 This video contains many spoilers from the Universe of Cloverfield and how the Cloverfield expands through time and space, an infinite Cloverfield universe for J.J. Abrams to play with infinite dimensions. 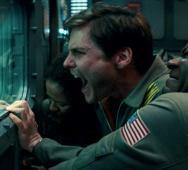 The Cloverfield Paradox (2018) released after the Super Bowl in a shock to the world on Netflix. 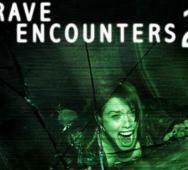 In this new film set in the Cloverfield Universe, we are transported to a new dimension among a slew of other strange and weird occurrences. 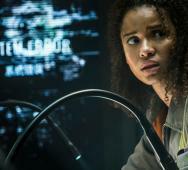 Here is a roundup of a few things you may have missed in The Cloverfield Paradox (2018). 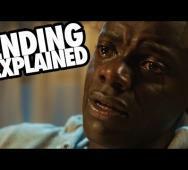 Looper did a terrific job finding and highlighting all these slight references sprinkled in The Cloverfield Paradox (2018). 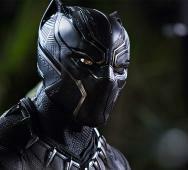 With Marvel’s Black Panther (2018) film set to release in movie theaters on February 15, 2018; here are two video reviews from WatchMojo and GameSpot Universe. Reports are that the Michael B. Jordan as Erik Killmonger is the best MCU villain to date. Chadwick Boseman as the Black Panther is fantastic and the women on the Black Panther team steal the show. 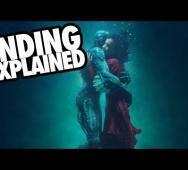 I suggest you first watch the GameSpot Black Panther review followed by the more extended discussion review by WatchMojo.